The employee on-boarding game that takes every employee by hand on their first day and makes sure they get the best impression from day 1 while creating meaningful connections with relevant peers. We take the most stressful time period in an employee’s journey and turn it to a fun, social, effective and memorable experience. On the employee’s first day, during the initial on-boarding process, the new employee will download the app. On his first visit to the company’s app, the real and fun virtual on-boarding will begin. The app will guide and walk the employee through all relevant departments during the on-boarding process but instead of the “regular” and boring process, we’ll now turn it into a fun game! The on-boarding game will feature challenges, missions, tasks, forms, trivia and levels that will have to be completed by visiting places, departments and interacting with relevant collegues and peers. All progress and activities are done within the app and can be easily tracked by admins to offer additional guidance and understand where the employee is. Challenges like “Find the most senior staff member of our IT department and write his youngest child’s name” are just the beginning of a fun, exciting and memorable journey the employee will start on his first day. It’s a chance to expose the culture, the fun, the uniqueness of your company within a week instead of months. First impression is what matters – We help you make sure you give the best. Each on-boarding journey can be entirely customized for any company and their specific needs. 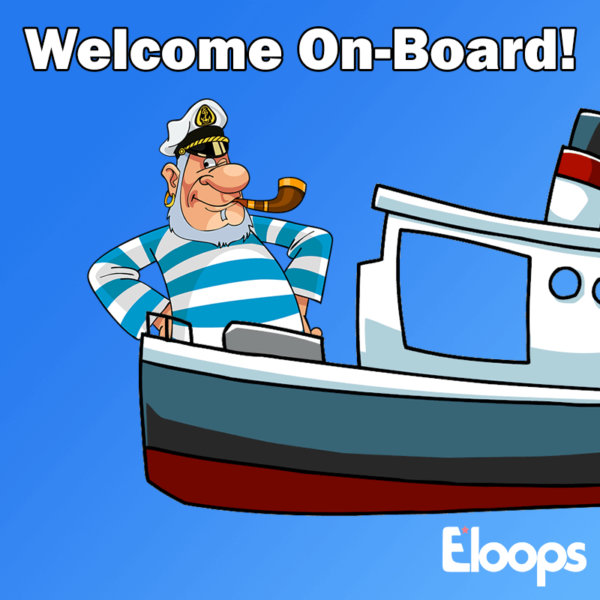 We’re ready to help you turn your on-boarding into a game – are you ready?